Nothing changes the world faster than a smile. Cosmetic Dentistry procedures with today’s modern technology can produce amazing results in less time than you would expect. Simple procedures such as teeth whitening or bonding can immediately increase a person’s self confidence, and joy of living. 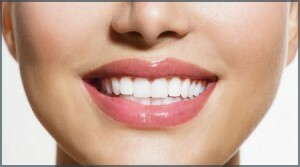 More complex “Smile Makeover” procedures can change entire lives. If you have any reservations about flashing your smile, you should set up a consult with Dr. Bryant to see what your options are to make improvements. Life is too short to live with an unhappy face. For people with dark, dull or stained teeth. First we fabricate a customized mouthpiece for you. Next the mouthpiece is filled with a whitening solution and worn in the mouth for 1-4 hours each day. Usually in as little as one or two weeks, this process can permanently rid the teeth of most stains from coffee drinking and tobacco, as well as normal tooth darkening associated with aging, producing a stunning bright white smile. For people with teeth that are discolored, stained, chipped, broken, uneven, or gapped. For people with teeth that are chipped, discolored, stained, uneven, gapped, crooked or worn. Dental veneers (also called porcelain laminates) are custom crafted, wafer-thin shells of tooth-colored materials designed to cover the front surface of teeth (and sometimes more) to improve their appearance. These shells are bonded to the front of the teeth using dental cements, changing their color, shape, size, or length. Usually this requires the dentist to remove some of the tooth enamel to make them look and function naturally. These are the most common procedures in the “Hollywood smile makeovers”.